Dubai never runs low in making records! It had another spectacular drone show to add to its glory. 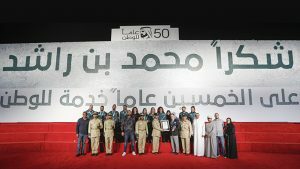 To mark 50 years of Dubai Police Academy, a remarkable drone show was organized where 300 drones drew pictures of UAE Leaders. According to Guinness World Records, 11 consecutive formations were formed by unmanned aerial vehicles (UAVs) using drones. The 10 minute show was held on Thursday 3rd January to commemorate 50 years of Police Academy. 300 drones were programmed to draw portraits of the UAE’s leaders including Sheikh Mohammed bin Rashid Al Maktoum (Vice President and Prime Minister of the UAE and Ruler of the Emirate of Dubai) and Sheikh Hamdan bin Mohammed bin Rashid Al Maktoum (Crown Prince of Dubai and popularly known as Fazza). 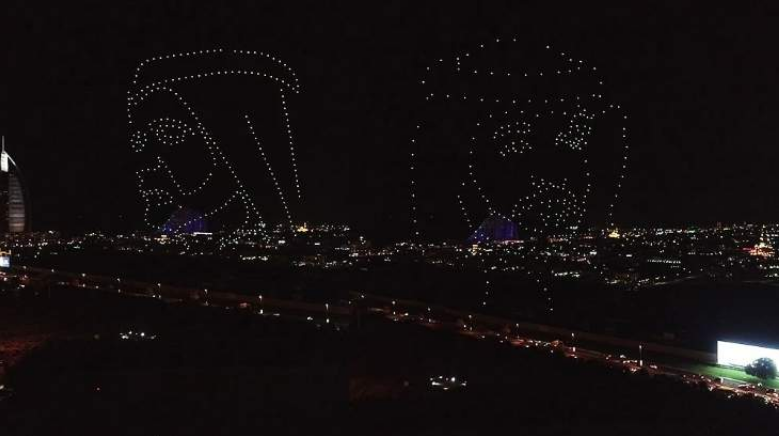 The drone show also promoted UAE’s 2019 Year of Tolerance. 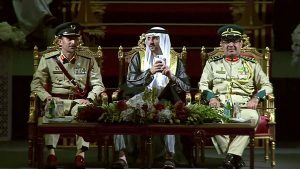 While the country promotes tolerance by focusing on the values of co-existing and peace amidst the variety of local, regional and international people in the UAE, the Dubai Police Academy expressed its gratitude and royal patronage to the UAE leaders by an Arabic message; ‘Thank You, Sheikh Mohammed‘.